Why should you consider an online solar marketplace instead of a solar calculator when deciding to go solar? Today with the increasing technological change in both the solar and software industries, it is much simpler and easier to go solar than it was a decade ago.The process of going solar is increasingly becoming simple and faster with the rise of online solar tools. Online solar tools are simple tools created to assist a potential solar customer determine whether solar panels are worth the investment. Are solar panels worth it? is a common question usually asked by an interested solar buyer and that’s why online solar tools or solar applications are being created with the solar buyer in mind. Provide estimates of solar energy production by pulling data from national databases run by for example; the National Renewable Energy Laboratory (NREL). Determine solar panels cost or cost of solar panels and potential savings. One example of a widely used calculator is called PVWatts and is used throughout the world by homeowners, small building owners, installers, manufacturers to provide with costs and savings of going solar. The PVWatts application was developed by NREL and is an interactive interface to rapidly utilize a solar calculator to calculate hourly or monthly PV energy production and the user does not have to input a lot of data to use this tool to determine the costs or savings of going solar. However, tools like PVWatts even though they provide you with initial data that you may need to decide whether going solar is right for you; the solar energy production data may be generalized over a wider location or region and therefore does not provide specific rooftop solar data. For instance, it is possible to determine the shading or building structures near your roof where you want to install your solar panels using sophisticated online solar tools like an online solar marketplace. An online solar marketplace like the EnergySage is a powerful tool because the solar energy generation data inbuilt in their system is site specific or solar generation data it generates is specific to your rooftop. An online solar marketplace like EnergySage utilize such site specific/rooftop data to provide users with more accurate estimates as opposed to generalized data that are generated by a simple solar calculator whose location data is not site specific and lacks a rigorous foundation in geospatial data and statistical analysis. An online solar marketplace like EnergySage utilizes light detection and ranging (LIDAR) data, geographic information system (GIS) methods and solar energy generation modeling to determine whether your rooftop is suitable to host solar panels. LIDAR is useful as it generates precise data in three-dimensional while incorporating other information to provide you with analytics that are site specific. 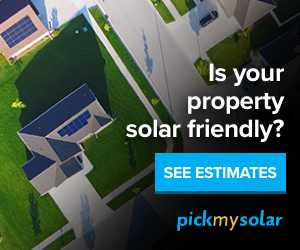 Because of this level of accuracy and the technology used to determine your specific solar energy potential; an online solar marketplace is a good place to start your preliminary analysis before deciding to go solar. Today there are a few online solar marketplaces out there and a review of them can be checked here for more details. Also learn more about online solar tools that utilize the LIDAR technology to provide precise solar generation data. How much solar energy you can generate on your rooftop and how much of this energy can be used to off-set your current energy costs? What financing options are best for you based on your specific data analytics? You will be able to know whether a solar loan or solar PPA or lease (which one is best for you). Compare solar quotes online and save more in the process because this will apply a self-directed approach and hence sales costs from the solar company are reduced in the process which means a better deal for your solar. Compare reviews of different solar installers in areas with coverage. Provide you with your precise solar energy potential. A review of online solar marketplaces available today in the market is found here while SwitchtoSolar Online Marketing, LLC has partnered with EnergySage to help online solar users go solar using an online solar marketplace that utilizes LIDAR technology. In addition to the above analytics which an online solar marketplace can help you determine, the EnergySage platform will also show you data analytics in terms of the carbon emissions and the resultant trees that you will help to plant as a result of your going solar and in the process you will join in the efforts of fighting climate change. Visit the website of EnergySage to learn more.